Whiteheads Lane (Part), Bradford on Avon; from property known as 8 Whiteheads Lane for a distance of approximately 50m in a northerly direction. To enable: Wessex Water to carry out a new connection. 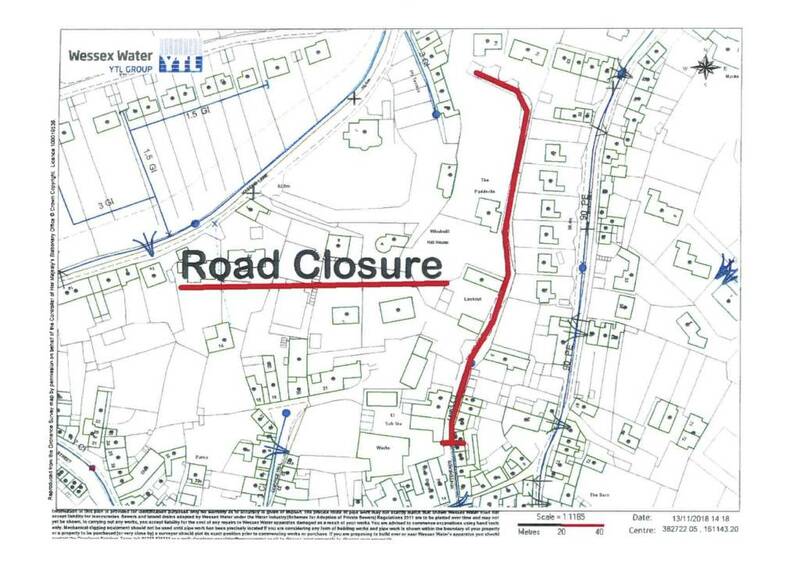 No alternative route is available; access will be maintained for residents and businesses where possible. The closure will be clearly indicated by traffic signs. This Order will come into operation on 17 December 2018 and the closure will be required until 19 December 2018. It is anticipated that the works will take the stated duration to complete depending upon weather conditions. Access will be maintained for residents and businesses where possible, although delays are likely due to the nature of the works. The Order will have a maximum duration of 18 months. For further information please contact Simon Phillips (Wessex Water) on 03456004600.